Goa is like a coin with two facades – North & South. And while the North gets all the attention with its parties, music festivals – it becomes much easier to ignore the South altogether. And that’s exactly what separates the traveller from the tourist. If you were to look at Goa from a point of view of an evolved traveller, then south Goa is actually where the soul of Goa is. Bounded to the north by the wide Zuari River and to the south by the neighbouring state of Karnataka, south Goa’s coast is a series of pristine beaches and atmospheric beach shacks, intriguing colonial sites and a laid-back village lifestyle. If you want to escape the ever-growing crowd in north Goa and have a relatively laid back vacation, you’ll love it there. There is no better way to experience Goan culture than staying in Portuguese villa. Vivenda dos Palhacos is one such beautifully restored 100-year-old Hindu Portuguese villa that sits quietly in the bylanes of Majorda in South Goa. The long stretch of white sand at Utorda beach will surely steal your heart. It is hard to believe that such beach exists in Goa. You can go for an evening walk in the white sands of the beach and chill in those temporary shacks by the shore. The one thing you must try is the Zeebops restaurant at Utorda. The place serves some amazing seafood. Make sure to grab a beer while chilling at the beach and try their Goan prawns fry. Feni making process is an art and pure craftsmanship. Each step involved in the process is mind blowing. Take a visit to a distillery unit in South Goa to learn more about the process. You will have to plan it during the months of October-May, as the distilleries are usually closed during the monsoon season. If you happen to be in South Goa during the monsoons, indulge in the Feni tasting session and nothing could be better than the Cazulo Premium Feni. It has a wide range of Feni collection ranging from Cashew to Coconut to Dukshiri Feni. What Baga, Calangute and Candolim are to North Goa, Palolem and Colva are to the South. Except for the fact that they’re much calmer abodes and the visitors here are usually much quieter for whom Goa is not just about drunk carousing but also about worthwhile musings against the backdrop of a setting sun in a place where nobody disturbs the flow of your thoughts and nobody judges you if you stay still staring into nothingness for hours at a time. If you’re wanting to see Goa beyond its beaches, parties and low-priced alcohol, then you should take a tour to Fontainhas, the colourful and culture rich Latin quarter of Goa. Fontainhas was declared a UNESCO Heritage Zone in 1984. A walk through this old Latin quarter feels like a journey through a postcard of a pretty street in a European city. The winding alleyways are adorned by tiled-roofed houses in spectacular shades of blue and reds. The houses, some dilapidated, others standing solid, untouched by the onslaught of time, brings alive Goa’s Portuguese past. Martin’s corner is the absolute heartthrob of South Goa for the ones looking to spend a nice, lovely evening, enjoying good music and good food. You can easily spend hours together at this place. The place has a wide range of cuisines from Goan to fusion food to exotic continental food. Fishka restaurant is a small restaurant opposite to Alila Diwa in Betalbatim, South Goa. The batter fried calamari, the fishka special, mushrooms stuffed with cheese sauce and mozzarella sticks are great as appetizers. For the mains, try the chicken cordon bleu, shepherds pie and chicken stroganoff. The crepe suzette for dessert is really a wow to watch and dive in. The Walnut brownie with ice cream is also very yummy and floats like a cloud on your tongue. Service is quick here, provided you’re early as it does get rather full. Wake up to the village life of South Goa, with the crow of a rooster and a slow morning where you can read the newspaper sitting in your bungalow’s portico. Enjoy a local breakfast with Pau and marmalade. Rent a bicycle from the place you stay and go around the nearby villages of Goa. It is in those bylanes and the interactions with the locals that you see the soul of the place. Mum’s Kitchen is a proud preserver of Goan cuisine. The restaurant takes every effort to sustain the genuineness and quality of each recipe, and to bring on to the table some very sumptuous dishes. Do try their Pamplet Mother’s curry and Suntachem Karwari. End your journey by jumping from beach to beach and beach shack to beach shack. While lazing on the sand or tucking into your fourth fish curry of your holiday in South Goa, look back on the experiences you’ve had in this part of the state. While traversing through the quaint villages of South Goa, you’ll be able to examine the local way of life more closely. It’s a unique state and many tourists even tell you that it doesn’t feel like India too. Well, that’s what India is, diverse, multicultural and beautiful! PS: I should thank Goa Tourism for taking me to the hidden gems in the state. 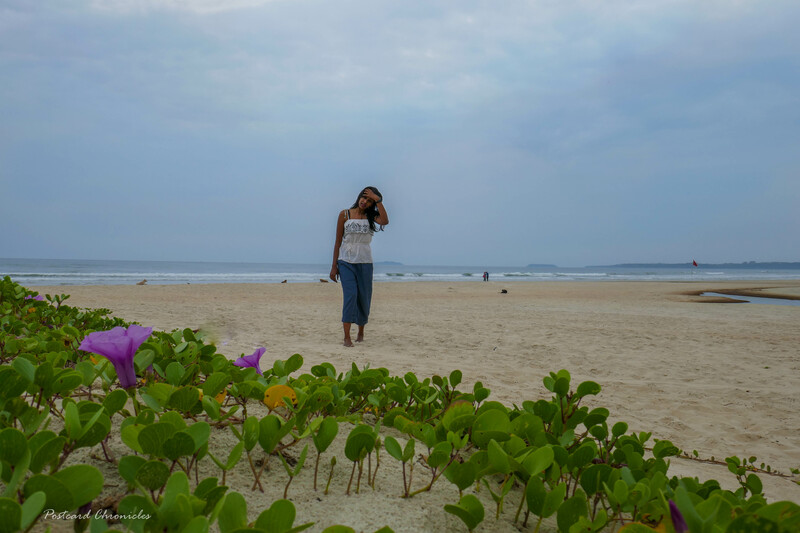 This post is in collaboration with Goa Tourism for #DiscoverToShare Campaign.